just prior to graduating from Berklee, there he contributed original compositions to favorable reviews. 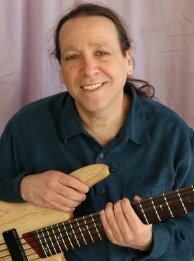 Shimon devotes time to teaching students of all ages, giving private bass and guitar lessons and, serves as an educational at the John Payne Music Center in Brookline, MA. Although a teacher Shimon remains committed as a student of the bass and continuing his studies with Oscar Stagnaros, Bruce Gertz and Charlie Banacus. In 2002 Shimon released his first album "Shades," with the Shimon Ben Shir Group on the Nada Label. In 2007 he recorded and produced "Ways" his second album and in 2011 his third album "Encounters" . Shimon's albums received numerous favorable reviews as well as a feature article in the Boston Globe. The group perform regularly many notable venues throughout the Boston area. Most recently Shimon produced and recorded his latest CD, "IV." He also composed the majority of the tracks and his bass and guitar playing is featured throughout the album. The newest offering shows a true evolution of fresh and contemporary compositions. The music of Shimon Ben Shir is a continually evolving project, growing in many different ways and always with a unique, distinctive sound that is only Shimon Ben-Shir's.